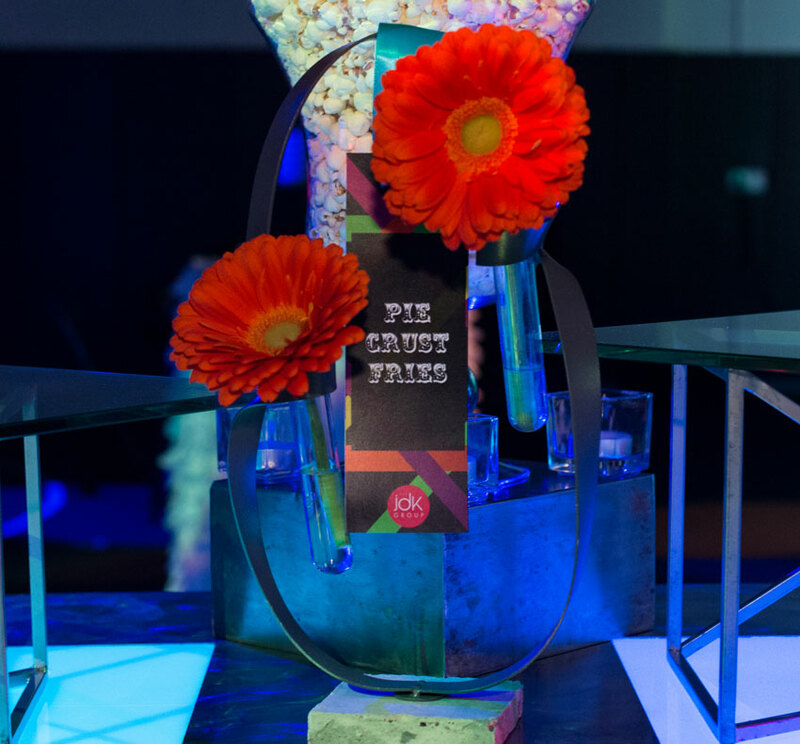 Hors d’oeuvres of truffled duck confit potato chips, miniature chicken and waffle cones, and tangerine infused cotton candy kept guests’ appetites satisfied. 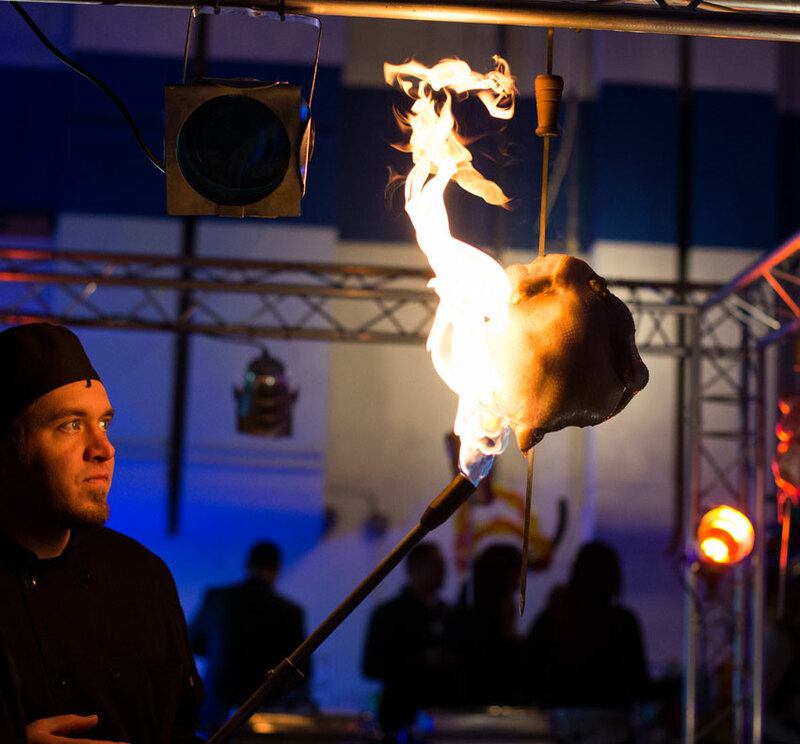 Unique presentations of smoking nitro gourmet popcorn, flaming doughnuts, and a pie fry station matched the intrigue of the evening’s theme. 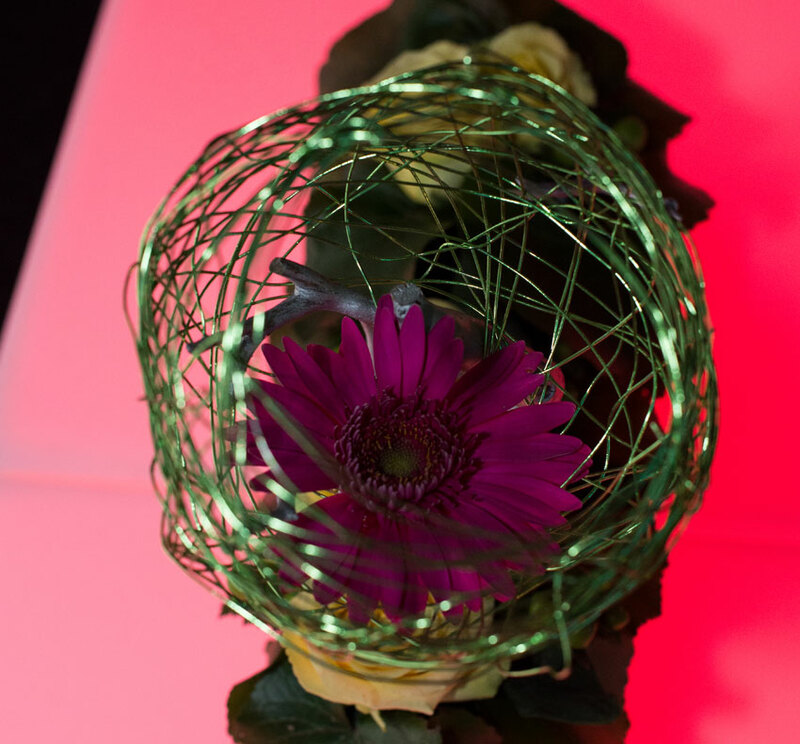 One of our favorite displays was the soft pretzels suspended from a vintage umbrella! 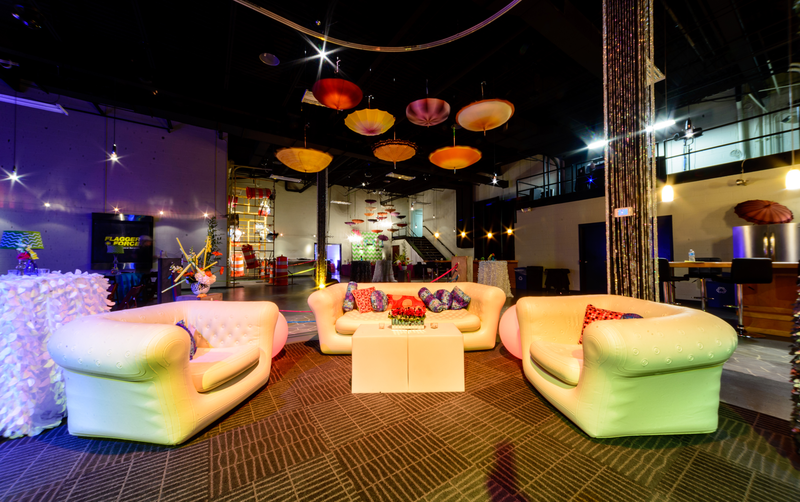 Fun and edgy colors of silver, blue, green, magenta, and orange were used to play into the Cirque De Soleil theme. 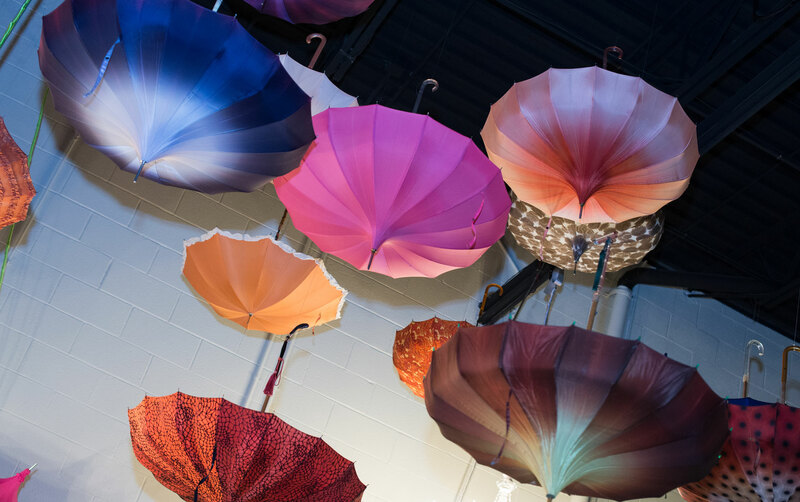 Suspended vintage umbrellas in varying patterns and shapes was a signature design element in the event space. We even dressed staff in themed attire to fully embrace this mystifying theme!